All Phase Restoration of Oregon, Inc. Comment: House was built in 76, so right on the cusp on planning requirements for earthquake. House is a daylight basement two story, built on a slab, no crawl space. It is built on a short incline toward a creed in the backyard, with main floor and entry above, bedrooms and other space below. I need an evaluation to make sure it was indeed bolted to foundation and if other upgrades are needed. Comment: I would like to get an estimate for getting a home gutted I need some to take the drywall off. Comment: insta hot water filter under the kitchen sink was leaking at 3:00 am this morning flooding my kitchen wooden floor. Comment: The southern exposed side of my house has evidence of the siding bubbling and damage on the roof facia boards (from a woodpecker!) I noticed a crack on my interior wall that has newly hatched bugs coming from it. Moisture has evidently seaped into the siding and probably produced dry rot underneath. At least half the south wall will need to be resided and damage underneath addressed. 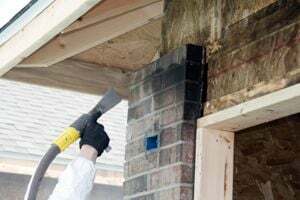 Comment: We have a number of areas on the exterior of the house and garage that have developed dry rot, including: 4 exterior window frames, 3-4 locations of exterior corner molding, and possibly some damage at the roof edge above the gutter. The windows are set in an exterior painted plywood siding. Portland Disaster Recovery Services are rated 4.64 out of 5 based on 568 reviews of 36 pros. Not Looking for Disaster Recovery Services Contractors in Portland, OR?